This tutorial covers how to build and use Restful API in Android Things to interact with it. Building a Restful API interface using Android Things is useful whenever we have to connect Android Things to an external system. This article explains how to build and use a Restful API interface using Android Things so that other apps or applications can invoke this API. There are several scenarios, where Android Things has to be integrated with external systems and it is necessary to have a Restful interface to invoke its services. Even if there are different solutions to this integration problem, using a Restful API interface in Android Things guarantees a large compatibility with other systems implemented using different technologies. We have already discussed how to exchange data between Android Things and Firebase or how to integrate Android Things with a cloud platform, this article covers a different integration aspect. Depending on the scenario we have to face, we can select the right integration strategy. We don’t have to forget that one of the best choices when we have to exchange data between different systems is using MQTT protocol. 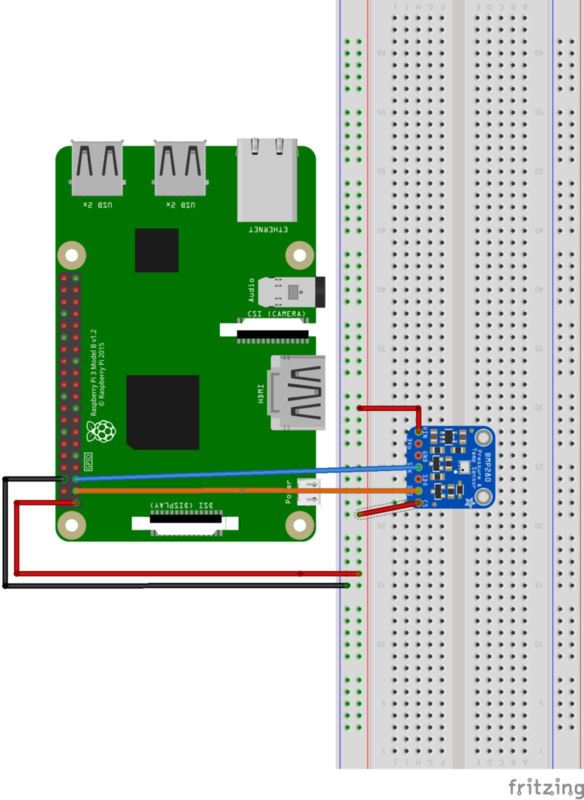 To focus our attention on the process of using a Restful API interface in Android Things we will use a simple sensor that reads temperature, pressure, and humidity. This sensor is BMP280 that is a I2C sensor. Before using Android Things, you should have installed it on your device. Please refer to the Android Things Peripherals I/O to know the pins used in this project. This project uses Raspberry Pi, anyway, you can use any platform compatible with Android Things. This is the most interesting part of this article. The goal of this paragraph is building a Restful API interface in Android Things so that we can expose a set of services that can be invoked by external systems or apps. to read the pressure from the sensor. In other words, we can imagine we have an external application or an app that wants to read remotely the temperature and the pressure from a sensor. To this purpose, this Android Things project uses the Restlet framework. This framework provides several implementations and one of them is for Android OS. It is very simple to use and simplifies the process of building a Restful API interface in Android. Both classes extend a ServerResource and an external app can invoke them using an HTTP GET request because we want to read the information from the sensor. Moreover, this API returns a JSON data structure. You can notice, in the previous classes, that they invoke the DeviceManager, implemented in the previous steps, that handles the connection to the sensor. In this step, it is necessary to implement an Android service to handle incoming requests. As you may already know, we have to use an Android Service because an Android Service has a “longer” life than an Android Activity and we want a task is completed even if the app UI is no longer available. Then the class implements the onHandleIntent to manages the start and stop of the server. The result is a JSON data holding the temperature or the pressure. 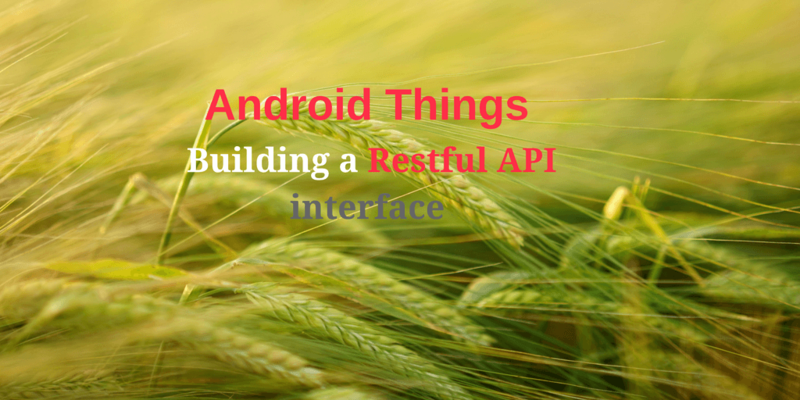 At the end of this post, hopefully, you gained the knowledge how to build and use Restful API in Android Things. This is a simple project but it demonstrates how we can use a Restful API interface to integrate Android Things with external systems. We can further expand this Android Things project implementing other APIs. For example, we can use POST requests to send data and control remote peripherals like motors or LEDs. This kind of integration is useful because we can expose sensor data as Android Things API and access them using a browser or using a web app or a mobile app. You can imagine, for example, to build an Android app that read the temperature and pressure data acquired by a sensor through Android Things.